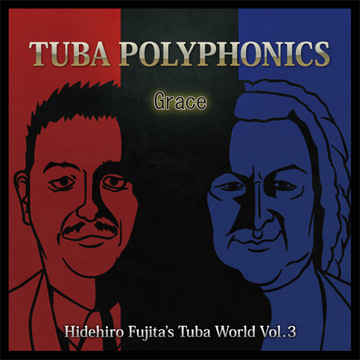 "Hidehiro Fujita's album is a brilliant and unique realization of Renaissance polyphony. The tracks are diverse, thought-provoking, and a heck of a lot of fun! An exceptional album, well worth your time and money." Overdub by one musician(excerpt 2tracks) about Renaissance period music, all composed by Jan Pieterszoon Sweelinck (1562-1621). All recording was monitored by "Skype" between Singapore and Japan. I guess, it is a kind of “taboo feeling” when we use Synthesizer(Sampling Keyboard) and recording in “bed-room studio” with reverb for Renaissance/Baroque period music for recording. Nowadays, technology of recording equipment is getting so well, especially for home studio materials. 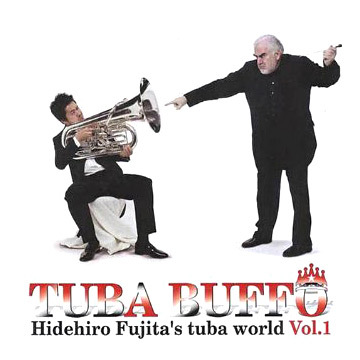 I overdub all tuba parts in this recording with my friend and fantastic Arranger/Tubist Kazumasa Yamagishi in my home studio(bed-room) monitored by Skype. Two tracks(M2 and M6) are accompaniment by Low Shao Suan. And I also overdub my chorus for one piece(M1), that was huge inspired by beginning of Queen’s “Bohemian Rhapsody” they also overdub about 30 of same voices and get great chorus themselves, then I tried to make sounded like real Gregorian Chant. Especially, my reverberator did great job for these old pieces. It was call “Altiverb7”, that is simulated by real location including Berlin Philharmonic Hall, Vienna Konzerthaus, Amsterdam Concertgebouw, Disney Concert Hall, several famous church, etc… And yes, I chose church simulation. 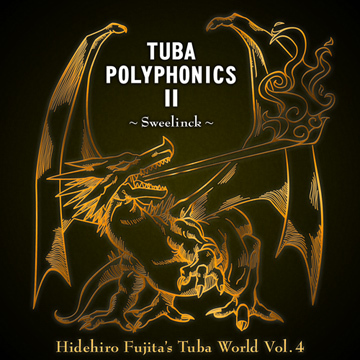 Also, these recording is only sale by internet (iTunes, CDbaby, amazon, etc), and these project was much cheaper than any project, but quality is quite good, and sounds like "REAL"! I hope everyone will share this project and releasing album a lot like a magazine. We (I and Mr. Yamagishi) also publishing all music scores by ASKS Winds. 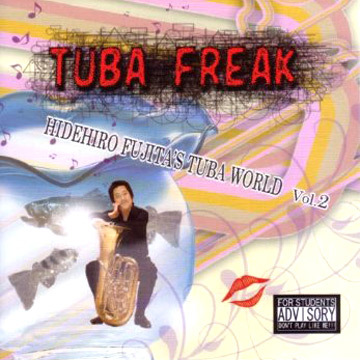 Recorded in Hidehiro’s home studio (Singapore).